I am genuinely worried about the state of our discipline. We’ve never been regarded as the most strategic part of the organization but in the last few years marketing seems to be devolving into a base tactical pursuit devoid of strategic thinking. To understand my point, you have to realize the distinction between strategy and tactics. But that last paragraph now describes an approach in apparent decay. The last decade has seen marketing deluged with a sea of new tools and techniques. The concept of real-time rather than long-term planning has added fuel to the fire. Finally, a new breed of marketer who prefaces their title with the tactical term ‘digital’ has inundated our discipline with under-trained, overly tactical managers who have already selected their mode of execution long before any research or strategy has been even agreed to. They already have their crossbow drawn with no clue where, who or what they are attacking. For example, Marketing magazine – the long standing rival of the UK’s Marketing Week – has just been retired and subsumed into a tactical title called Campaign. The editorial team behind the move talk about “creativity”, a “new breed” and “breaking down silos”. But if the exit plan is to move from silos to a giant tactical ghetto where does that leave our discipline? There used to be a section in every marketing and retail magazine that featured hundreds of promotional gifts and freebies. Golf balls, frisbees and branded pens – you know the kind of thing. There is a very real danger that Campaign and then the rest of the marketing world goes this way over the next few years. All this talk of social media platforms, virtual reality and 3D printing is missing the point – the strategic point – of marketing. Our discipline must be founded on understanding consumers and then coming up with the strategy that helps our organization win in the market. All the tactical mish-mash and creative hoo-haa that follows is an important part of the marketing plan, but it’s not the starting point and it’s certainly not the most important bit. A general manager at a client I advise recently asked me to chat with a marketing manager about his 2016-17 marketing plan. The GM was worried it was all “bells and whistles”. Sure enough when we went through the plan there was an excess of digital tactics for the year ahead but when I asked him about his targeting, positioning and objectives the look on his face astonished me. It wasn’t that he was unsure of his answer, it was his abject confusion that such questions were even appropriate any more. I used to battle against the executives from finance and accounting who sneeringly referred to marketing as the “coloring-in department”. As time goes on I fear they might have a point. 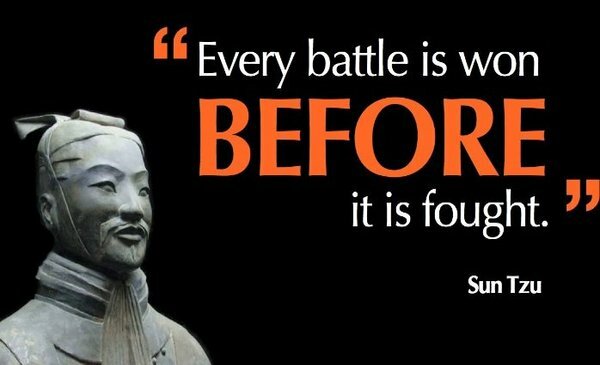 As the greatest strategist of them all, Sun Tzu, observed more than two millennia ago: “Tactics without strategy is the noise before defeat.” I hope so. Because we need an urgent re-centering of marketing back towards strategic fundamentals before it’s too late. If you disagree with me get over to Campaign and sign up for their shiny new publication – the website’s front-page stories this week are on millennials, Snapchat, billboard hijacking and digital dating. For anyone else, I recommend climbing back up the disciplinary ladder to a higher place. It’s called marketing.